Hi there! My name is Bridgett. I was born and raised in North Carolina, and have lived all over the world since. I have been doing CrossFit since 2012 when my daughter was 7 months old. I was inspired to try CrossFit after seeing how it has changed so many of my friend’s lives and their bodies. I was a stay-at-home mom, who wanted to get back into shape after having a baby. I was so bored of regular globo gyms and not happy with the lack of results I was seeing. After walking into my first box in at CrossFit Monterey, it has become a part of my routine ever since! I love it! I love the camaraderie and competitive nature of the sport. Plus, I have met so many amazing and inspiring friends along the way. 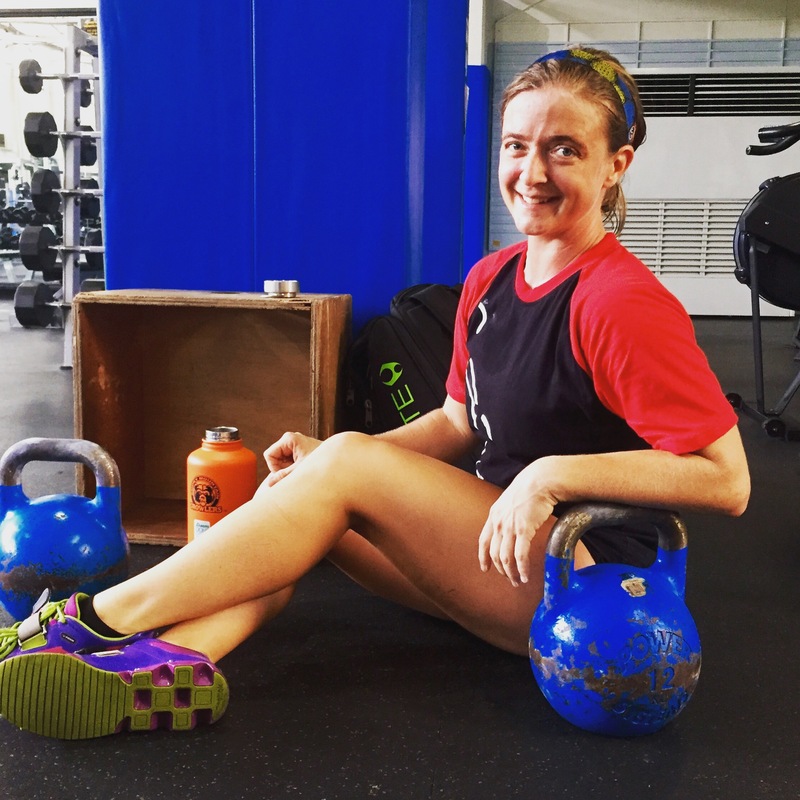 Since beginning CrossFit, I have participated in several CrossFit competitions, a kettlebell competition, Tough Mudder, and even ran three half marathons, which is something I never dreamed of doing before CrossFit. I got my CrossFit Level 1 certification in San Diego, California and my CrossFit Weightlifting Certification in Asheville, North Carolina. I love helping others become better athletes. I also find great joy in watching people transform and gain confidence in themselves. We are all stronger than we think! In my free time, I enjoy traveling the world, massages, hiking, trying all the foods, and spending time with my daughter and husband. Please email us to set up a class. Please click on the link above to join us for an introduction to CrossFit at Collier Fitness Center. This class is required before attending classes if you’ve never done CrossFit before, or if it’s been a long time and you need a refresher. For more information, please e-mail us at info@fighttonightcrossfit.com or find us on Facebook – Fight Tonight CrossFit. Please note the change in today’s schedule. There will not be a 1800 class because the gym closes at 1800. We apologize for the error! Enter your email address to follow FTCF and receive notifications of new posts by email. Free Trial Issue: Learn the basic theories of CrossFit by reading this free issue of the CrossFit Journal, entitled What is Fitness? Fight Tonight CrossFit is not endorsed, nor is it funded, by the Department of Defense or the Department of the Army. This is a non-federal entity non-profit organization that promotes the fitness and health of members of the aforementioned. The views here are not necessarily the views of DoD, US Forces Korea, or the US Army.